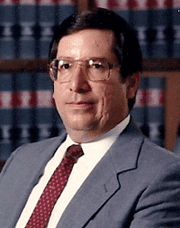 Prior to founding of William H. Arroyo and Associates in 1980, William Arroyo was Executive Vice President and State Manager of Record Data of Georgia, Inc., and Record Title Agency of Georgia, Inc., from 1976 to 1980, with managerial and training responsibilities for seven branch offices throughout Georgia. Mr. Arroyo also had previous management and staff supervisory experience as a commissioned officer, in the U.S. Army from 1970 to 1972, and was discharged as a Captain from the Army Reserves in 1979. William is a graduate of Georgia State University, with a B.A. Degree in English Literature, in 1970. He earned his Juris Doctor (J.D.) Degree at Woodrow Wilson College of Law in Atlanta in 1976, and subsequently obtained a tag-along B.A. Degree in Spanish Literature, at Georgia State University, in 2001. Mr. Arroyo is fully bilingual, and has an extensive Hispanic clientele. William was born in Santurce, Puerto Rico, but has lived in Georgia since 1960. He is married with two grown sons, and enjoys travel and salt water fishing, and spending time with his family and friends.